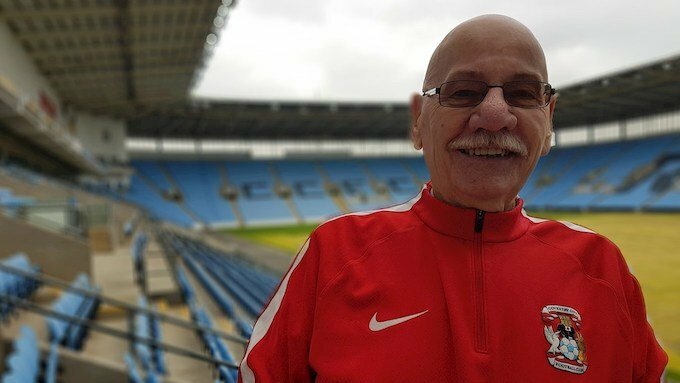 Ron, who was diagnosed with prostate cancer in December 2017, believes that if it wasn’t for joining Sky Blues in the Communities (SBitTC) walking football sessions three years ago, he may have never took the important prostate-specific antigen test. Ron used his diagnosis to help drive forwards SBitTC’s Cancer Support Group (supported by Macmillan Cancer Support), taking on the personal responsibility for encouraging other men to access PSA testing. His likeable, mild-mannered and positive attitude endeared him both with SBitC staff and participants at sessions and his determination and verve for life whilst undergoing treatment was highly inspirational. Because of Ron’s investments in the programme, he is now a lead coach and patient advocate on the Cancer Support Group and works tirelessly to raise awareness and inspire those with prostate cancer; the vast majority of SBitTC’s walking footballers have undertaken PSA testing and three have been diagnosed with prostate cancer as a result. 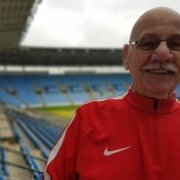 Nathan Isom, Health Manager at Sky Blues in the Community said: “Ron has been so inspiring and has done all of this whilst undergoing treatment for his Prostate Cancer; his experience of the treatment process enables him to support other men living with cancer. https://www.efltrust.com/wp-content/uploads/2019/02/Image-3.jpg 383 680 EFL Trust https://www.efltrust.com/wp-content/uploads/2016/06/efltrustlogo.png EFL Trust2019-02-04 10:00:432019-02-04 10:16:54Ron: “I believe walking football saved my life."